As the Director of Litigation Procedures (East Coast), Tracy works closely with the heads of the firm’s litigation team in the day to day management of the firm’s east coast litigation portfolio and the implementation of firm litigation policies and procedures. 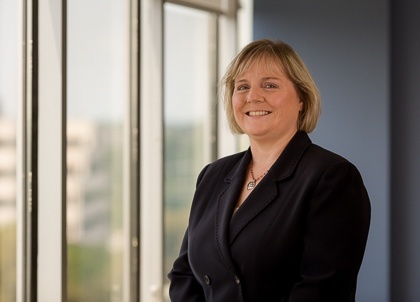 Tracy brings over 20 years of litigation experience to her role. Prior to assuming her current position, Tracy was an Associate with PIB Law with a practice focused primarily on representing financial institutions in mortgage banking litigation. Prior to joining the firm Tracy was an Associate with Shain, Schaffer & Rafanello, P.C., where she managed the daily operations of the firm’s mortgage deficiency and judgment collection practice. She also regularly defended banks and mortgage lenders against claims arising under consumer banking and mortgage protection legislation. Beyond the realm of banking, Tracy has represented municipalities in various aspects, including condemnation matters and property tax issues. Tracy started her legal career with the law firm of Atkinson & Atkinson in Fredericton, New Brunswick, Canada, practicing primarily in the area of matrimonial law. University of New Brunswick in Canada, LL.B. University of New Brunswick, B.B.A.